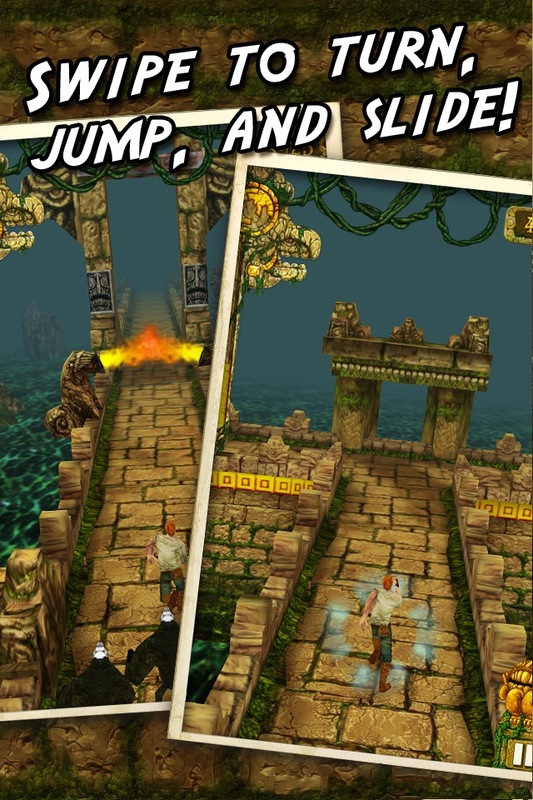 App Store fads come and go, and I think it’s safe to say that the endless runner has been on its way out for a while now. These days it’s all endless flying, jumping and swimming. So consider me officially surprised that Temple Run [$0.99], a brand new endless runner by Imangi Studios, has captivated my attention for days. As we noted in our time with the game at WWDC, part of the appeal is the third-person chase view. Temple Run isn’t unique in employing this point of view, but it does add a delightful sense of urgency to the game. You never quite know what will be around the next corner — until it’s about to smack you in the face. 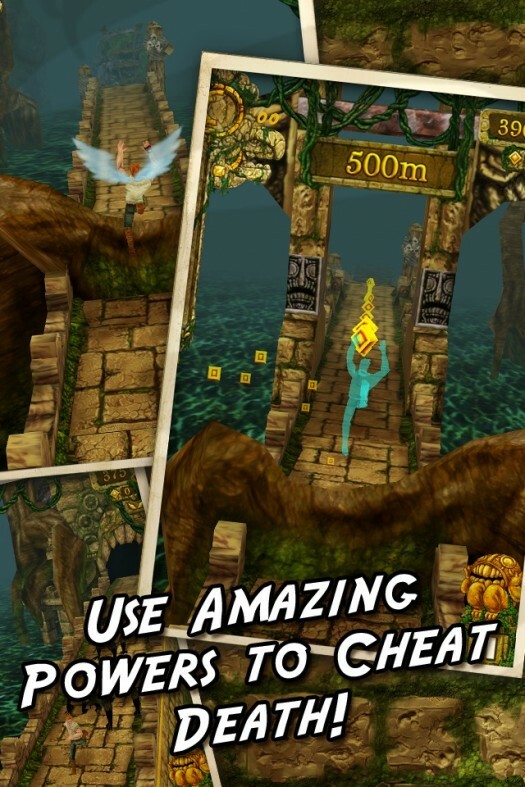 Corners are something you see a lot of in Temple Run. The game eschews the more traditional one-button jumping control of most runners for a swiping method that still allows for one-handed play . You can swipe up to jump, down to slide, and left or right to turn. This control setup is risky — it’s much easier to mess up a swipe than a tap — but it works. Though the world is randomly generated, the addition of twists, turns and crossroads makes it feel more organic, like more of an adventure. An Indiana Jones aesthetic extends that sense of adventure even further. You control an explorer who has just claimed an ancient idol. The guardians awaken and prepare to devour you — so you run. In your journey, you’ll travel across the remnants of ancient temples, leap over flaming statues and dive beneath the roots of massive trees. A slip up can kill you, but even a couple minor stumbles can give the guardians the chance they need to catch you. It’s basically a chase scene that would fit into any Indiana Jones film — though it probably wouldn’t end with Indy’s gruesome death in that case. While you’re dodging death, you can tilt your device gently to collect coins that appear on either side of the path. You’ll collect hundreds each time you set out for a run, and they actually go to a good cause: powerups. There are four powerups to unlock, and each one adds something fun to the game like invisibility or bonus coins. They can each be upgraded to become stronger or more valuable. You can also purchase a resurrection item that you trigger by double tapping on the screen. Once you do, it will save you from your next death. The coins you earn in-game should be more than enough to purchase powerups and upgrades at a reasonable pace. If you really want to get ahead of the pack on the Game Center leaderboard, you can pay cash for coins — but it isn’t remotely necessary. Any endless runner worth the name will give you high-tension situations and that “one more time" compulsion. But Temple Run is probably the only one that also makes you feel like a daring archaeologist with a penchant for deadly situations. So yeah, it’s good. Check it out, and stop by our discussion thread when you do.